Solignano, 17 May 2018 – At Coverings 2018, the most important North American exhibition for the ceramic sector, Flaviker has showcased its new HYPER and RIVER tile collections combining innovation, HD digital decoration and Italian design. The Solignano-based company’s exhibit in the Georgia World Congress Center in Atlanta, has offered a fascinating exploration of materials developed through its research efforts, a long-term stylistic and aesthetic project that has constantly expanded the potential for use of ceramic tiles and made them an increasingly popular material in the world of interior design. Hyper-realism is the style concept behind the new offerings from Flaviker, particularly the HYPER collection inspired by the aesthetics of concrete. Along with the sheer variety of its versatile and contemporary surfaces, the 3D graphic design has meticulously preserved all the marks of the natural industrial concrete ageing process. 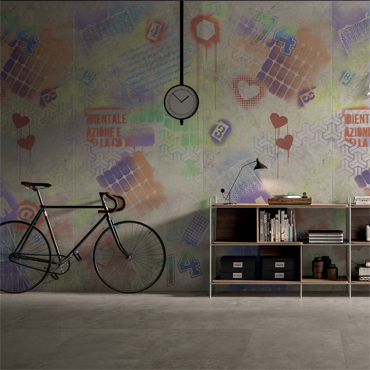 HYPER also includes the precious capsule collection developed in collaboration with Tattoo & Visual artist Tiziano Colella, consisting of a series of decorated panels inspired by the visual language of street art. 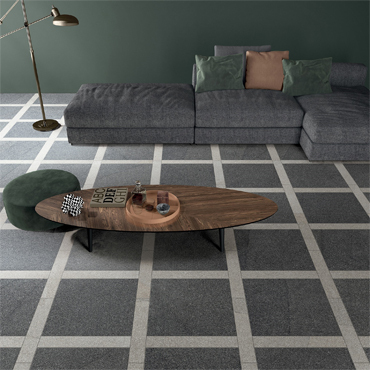 The RIVER collection offers an original interpretation of terrazzo floors, skilfully combining surface homogeneity with the beauty of individual fragments while preserving the signs of wear and tear experienced over the centuries. 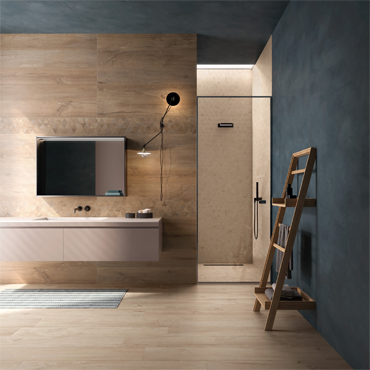 Based on an outstanding interpretation of the popular recomposed material trend, one of the most interesting decorative solutions to have emerged in recent years, RIVER reproduces elegant micro-pebbles with extraordinary three-dimensional effects. 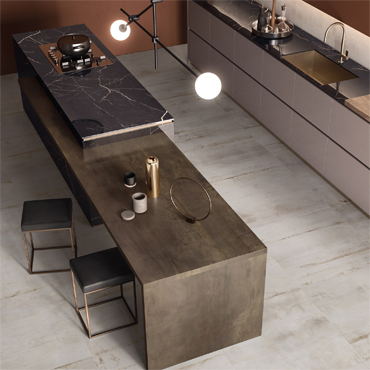 Skilfully designed long, thin cracks are used to create a sense of movement in surfaces available in sizes ranging from 160x320 cm down to the smallest and most decorative submultiples 10x60 cm and 30x30 cm.